To make an acupuncture appointment, call 575-312-6569 or you can book online very easily. Ryan Bemis, DOM, RT is co-founder of Crossroads Acupuncture and serves as Executive Director, teacher and acupuncturist for our non-profit organization. He has over 20 years of experience working in community health and outreach. He learned about acupuncture while working in the addictions recovery field. In 2011, he moved from Portland to start the first ever community acupuncture clinic in Las Cruces. 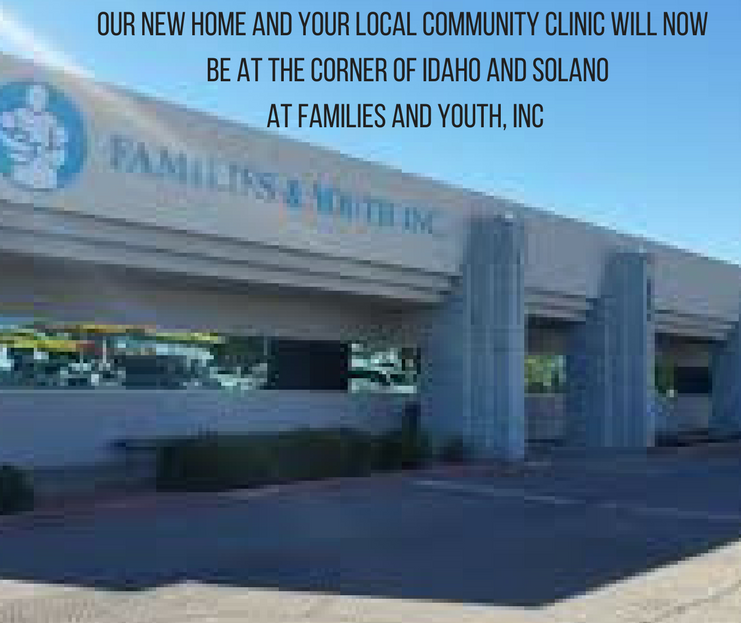 In 2013 he turned Crossroads into a non-profit organization, and donated the clinic to the newly formed Crossroads Community Supported Healthcare. Ryan serves as our acupuncturist at Crossroads, and has provided more than 20,000 treatments. Bilingual English and Spanish, he uses a variety of techniques for patients including scalp, auricular, “Tan” style, Traditional Chinese Medicine, and Japanese. His technique is extremely gentle, but he also offers Trigger Point therapy for appropriate clients. Ryan offers care for a variety of health conditions including pain, mental health, addictions, digestive, neurological, gynecological and genitourinary problems. His experience as an acupuncturist includes working with active military soldiers at the PTSD Warrior Resilience Center and the Interdisciplinary Pain Management Clinic at William Beaumont Army Medical Center in El Paso, TX. Prior to working as an acupuncturist, Ryan worked as an addictions counselor at Hooper Detox Center in Portland. He completed internships in Portland at Project Quest, and Outside In. Ryan is US nationally certified by the National Certification Commission for Acupuncture and Oriental Medicine and licensed by the state of New Mexico as a Doctor of Oriental Medicine. He received his education in acupuncture at the Oregon College of Oriental Medicine in Portland, OR and Lincoln Hospital in the Bronx, NY. Ryan originally moved to the borderlands to teach providers how to apply basic acupuncture techniques like the NADA Acudetox ear acupuncture protocol in response to violence and poverty. He is a Registered NADA acudetox trainer and has trained over 250 health workers in the border region including providers at University of New Mexico Hospitals, Catholic churches, US federally qualified health centers, addictions programs and indigenous health programs in the Taos Pueblo, Tarahumara, Acoma, Ysleta del Sur and Navajo communities. In collaboration with leaders in the Catholic Diocese of Ciudad Juarez, Ryan has co-founded and currently operates a health promotion school, offering free education for volunteer health promoters offering care within underserved neighborhoods in the border region. In 2018, he helped establish Crossroads’ Refugee Care Program for immigrants in the border region in collaboration with local churches and shelters. Ryan holds a Bachelor’s in Theology from the University of Portland. Ryan has worked as a policy and public health program consultant and advocate for the National Acupuncture Detoxification Association and other public health and addictions programs. He is certified as a supervisor for New Mexico behavioral health programs that utilize ear acupuncture. He also offers consultation, mentoring and coaching services for acupuncturists, doctors, therapists, and church leaders working within community clinics. He assists providers and administrators with project development, business planning, non-profit support, entrepreneurship as well as policy advocacy and legislative assistance. Ryan is a writer and a public speaker and educator. His writing has been published in America Magazine and AcuTake. He is a regular presenter at national and international acupuncture and public health conferences. In 2018, he offered the keynote address at the commencement ceremonies for the graduating Master’s and Doctoral class at the Oregon College of Oriental Medicine. Born and raised in Wyoming, Ryan enjoys living in the southwest and loves to hike, camp and ski. He spends his time away from work salsa dancing, playing the harmonica, volunteering and spending time with his family and friends. To reach Ryan for questions about receiving acupuncture for your health concerns, consultation, acudetox supervision, or to inquire about upcoming trainings, email him at crossroadsacu@gmail.com. Crossroads is looking for other practitioners to join our team! Acupuncturists, doctors, nurses massage therapists, counselors, and teachers of all types are needed to join our team and support our mission. We have a volunteer program for acupuncturists and teachers, we have a thriving clinic that is needing new providers to assist. Email a cover letter and resume to crossroadsacu@gmail.com.